It's the climactic conclusion of SHOWDOWN AT THE SHADY SHOALS--SpongeBob's first soggy serial! 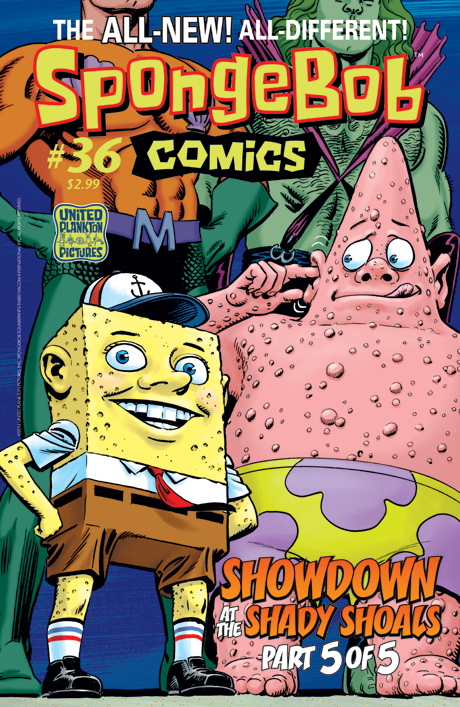 In this final chapter, the friendship of aquatic champions Mermaid Man and Viro Reganto transforms all of Bikini Bottom into a world of superhero realism–with stunning new renditions of SpongeBob and Patrick courtesy of Jerry Ordway. Plus a Mr. Krabs comic by Tony Millionaire, SpongeFunnies by James Kochalka, and a choose-your-path comic starring the whole cast!